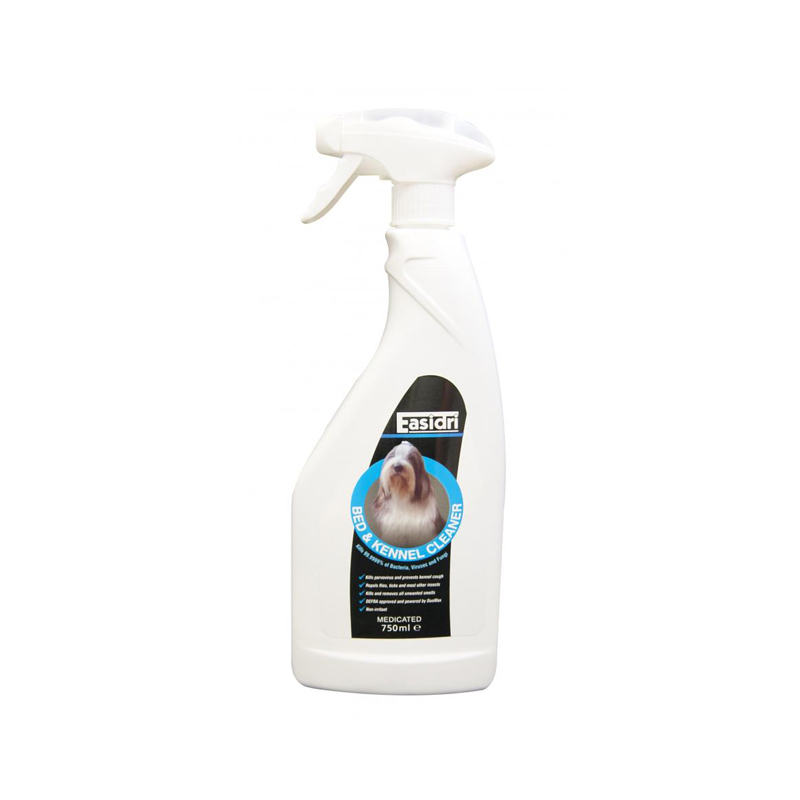 The Easidri Bed & Kennel Cleaner contains DuoMax, a DEFRA tested technology, which kills 99.9999% of bacteria, fungi and viruses but is safe for animals, humans and the environment. This gentle but effective formula is proven to kill a wide spectrum of microbes and helps prevent the spread of kennel cough. It also removes unwanted odours and may repel flies, ticks and other insects. It has been designed for use on hard surfaces but is also suitable for use on soft fabrics, when they require disinfection. It is non-corrosive, non-irritant, non-toxic, water-based and environmentally safe.